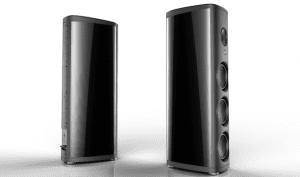 In 10, Magico has garnered tremendous respect among the high-end audio fraternity, harnessing exemplary science and engineering to deliver what some say are some of the best-sounding loudspeakers on the planet. The company’s latest design, dubbed ‘M Project’, is the culmination of all it has achieved to date, further developing technologies from existing models to create a special anniversary speaker with production limited to 50 pairs. The speaker is built to order with prices starting at ￡130,000 per pair, depending on the specified finish (multiple automotive paint options are available if desired). Deliveries begin in October.